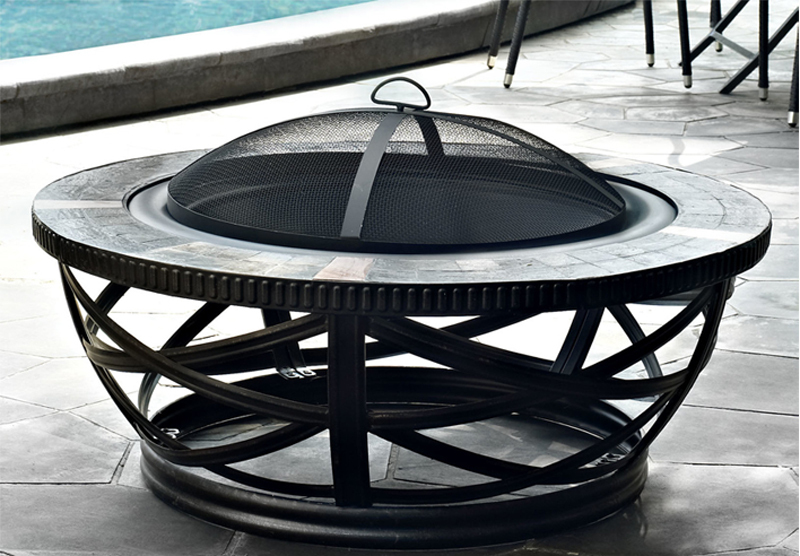 A decorative and artistic way to bring warmth to your space is through circular fire pits! From the name itself, we already get what a fire pit is. Basically, it’s a hole or a pit wherein fire is kept (well, sort of). A fire pit or fire hole’s designs vary from something basically dug from the ground like when we are in the beach to those elaborate designs that you might have seen already and the ones that we will be showing you today in today’s list of 20 Charming Circular Fire Pits. Of course, fire pits are not only circular or cylindrical – they come in rectangles, squares or even in more modern designs. Today, we have a list of circular and spherical fire pits that were designed by different designers and manufacturers which are actually really beautiful and very much skillful. This list consist of fire pits that differ in material too – some are concrete, others are granite or graphite while others are made of steel; you will even see one design that is made for the beach. Well, so much for that, you just go ahead and check it out. Sticks and Stones Furniture This is one beautiful fire pit. The shape is sort of a common thing since their shapes are usually circular or square. The finish on this one is pretty neat though because it’s smooth and not pointy. 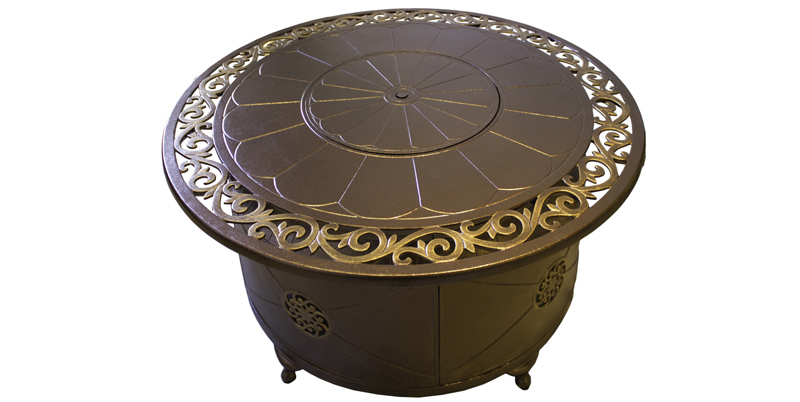 The Outdoor Great Room Company This 32′” fire pit is something new from The Outdoor Great Room Company, the design is nice because it doubles as a table. When you are not using it, you can evidently use it as a table when you’re outdoors and having barbecue or drinks. Tommy Bahama Outdoor I can’t be certain if this is actually concrete or something else; but the design is quite cute because of the brick-like cover it has to it, plus the color is making it a little old and rusty. The Outdoor Great Room Company This is one modern approach to a fire pit – the material may be a simple pan placed in a tripod, but it is pretty and on point. You need a fire pit, there you have it – one fire pit. 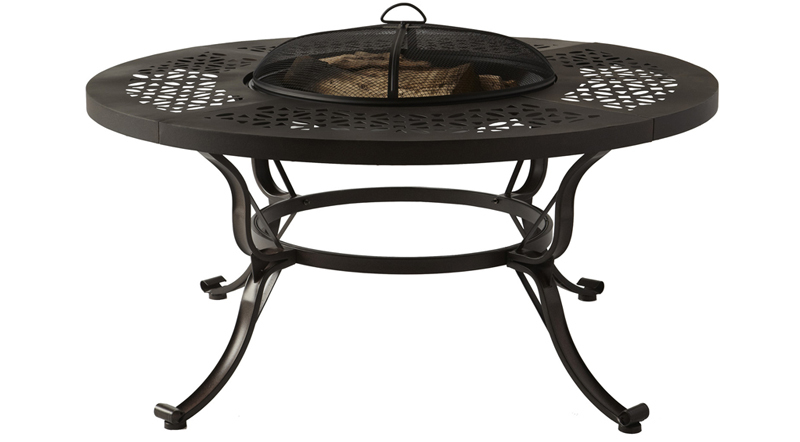 The Outdoor Great Room Company Here is another fire pit that you can use as a table for the outdoors when the fire pit is not in need or not being used. The nice thing about this one aside from the beautiful granite used for the table is the cover it has around the fire. The Outdoor Great Room Company This black contemporary fire pit sure is neat and sophisticated. I never thought that I can use ‘sophisticated’ for a fire pit, but it actually is. Black sure makes things a little classier – when used in the right way, I suppose. Sticks and Stones Furniture This graphite fire pit is really pretty. The concrete-looking finish to this one is neat and actually clean. This would be great for the great outdoors finished in concrete. Pleasant Hearth Now this fire pit is in rubbed bronze which makes it look rather modern than rustic! The design of this fire pit also make it look like a grill of some sort; pretty awesome right? AZ Patio Heaters This is one modern fire pit; the fact that this is one portable fire pit makes it more interesting especially for people who has a wide lawn and parties or hangs out in different parts of their garden or lawn. I’m betting this one is expensive too! I mean, look at the details on this one! Crosley This looks like an interesting fire pit because of the legs it has that looks like a base for a table. Well, looking at this fire pit, this can pass as a coffee table that will hold your drinks and chips while you’re outdoors. Fire Pit Art This sure is one shiny fire pit. Of course, this needs proper cleaning and maintenance for it to look this awesome; but hey! If you really want this to look this pretty, you need to work for it! Pleasant Hearth Here is one beautiful slate fire pit – this one can easily pass for a coffee table and what can I say? This one has a cute design and it’s a plus that it has a cover for those flying bits of firewood or ash. Pleasant Hearth It’s kind of nice that this fire pit is actually named after a person’s name – that of a woman; it must be because of the curves on the legs and the wonderful center where the fire will be created. Lexington This is a different approach to fire pits because of the material used with it. The outer cover sure is ideal for the beach but the insides may be concrete or steel. The design though is ideal for summer homes or the ones near the beach. 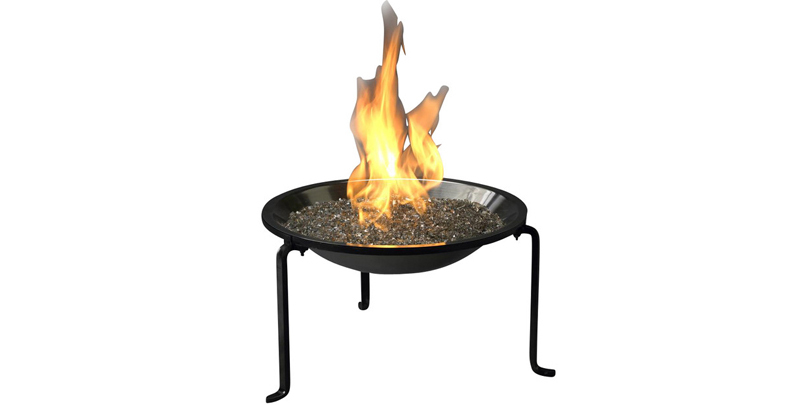 Real Flame Fire pits like this is one is quite common and usually it is placed strategically in a location where the outdoor chairs or seating is situated. This is ideal since we all want that one thing that is the center of attention in the house – indoors or outdoors, like a lovely painting or a fountain respectively. All Backyard Fun Another fire pit table that is showing us now what is ideally eaten or drank when around it. Haha! Kidding guys! Although this suggestion is true enough because one can always hope and want to hang out around a fire pit when you’re cold or just wants to hang out and think. Lexington A Tommy Bahama special fire pit table. Tables like these are neat and very useful; it’s pretty and at the same time really functional. I’m guessing this is ideal outdoors but will definitely look great indoors too! Starfire Direct I am not sure why this fire pit is named telescope – maybe because of the color or finish, not really sure but this one looks something you can see in a lab or something. Corral This steel wood fire bowl has this wonderful color that I believe is used to keep rust away or at least for them to look similar from one another when the time comes that this steel fire bowl would already rust. That’s a little theory of course. Sunjoy Our final fire pit is made from steel too; you can see from the color that is similar from the something before this. The theory I have about it may actually be similar about using bronze or black to make fire pits look old or rusty – a good quality to fire pits is that they lasted for a while and still looks gorgeous. Whether you are into fire pits or fire bowls or not, I still guess that this list is something you would like because of their beautiful designs and awesome details. In the Philippines, fireplaces is not common and fire pits are only made when we are in the beach, but hey, for places near the mountain, these fire pits or fire bowls still seem appealing. Tell us what you think about these beautiful fire pits!